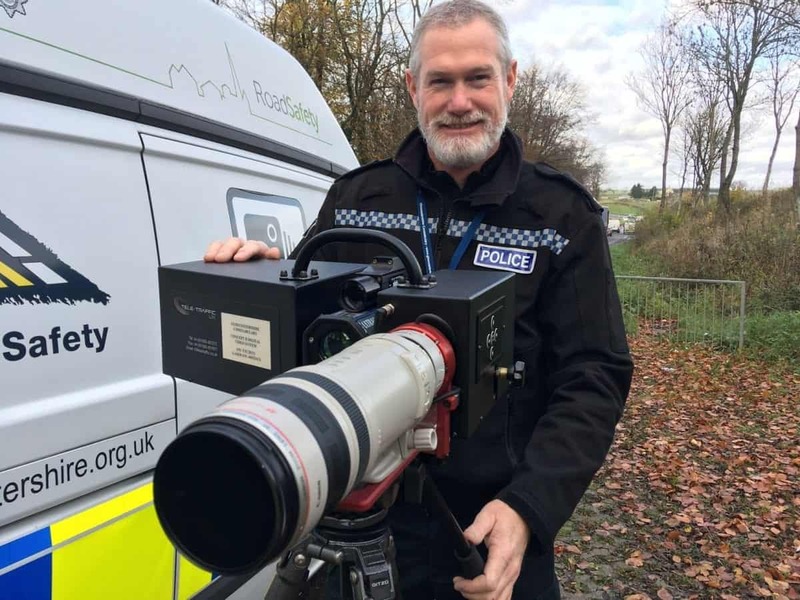 Police have unveiled their new weapon – Britain’s biggest speed camera that can film a car a THOUSAND meters away and dubbed ‘The Long Ranger’. Martin Surl, Police and Crime Commissioner for Gloucestershire where the kit is being tested, said he hoped that it would catch people using their mobile phones. The project takes a new collaborative approach to the policing of the A417 and A419 – a major strategic route linking Gloucestershire and Wiltshire as well as the M4 and M5. Officers will use the long-distance camera and automatic number plate recognition (ANPR) to check on what vehicles are on the roads and how they are being driven. The operation was launched in a lay-by on the A417 known as Granny’s Pumps. It is between Cirencester and the outskirts of both Cheltenham and Gloucester. ”We now have a chance to test a new model of collaborative road policing which, if it proves a success, can be put into practice elsewhere.